On Tuesday, April 19 at about 1:22 a.m., officers responded to the report of 10-12 people being involved in a fight in the area of Fifth and H Streets. Upon the officers’ arrival, people were fleeing in all directions. The area was checked and none of the involved parties were located or identified. At 2:06 a.m., the Arcata Police Department received a report of a stabbing victim arriving at the Mad River Community Hospital Emergency Room. Officers responded and contacted the 22-year-old male victim at the hospital. 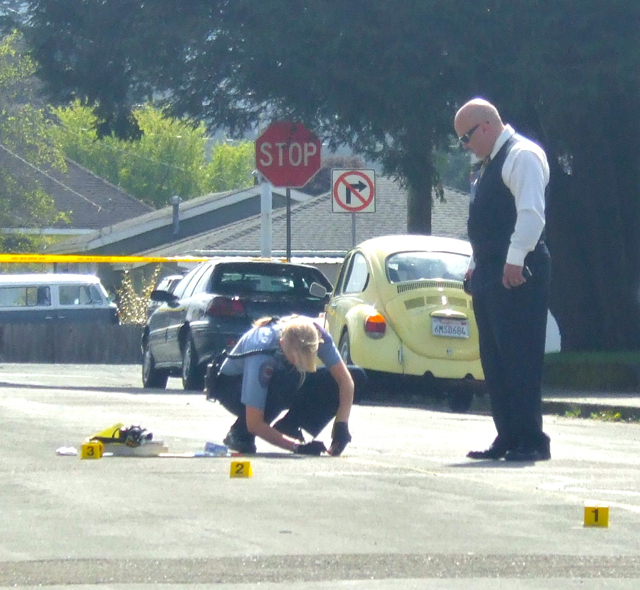 The victim told the officers that he had been walking with two other friends from the area of the Arcata Plaza when they encountered a group of six to 10 transient subjects. The two groups exchanged words and then became involved in a physical altercation in the area of Fifth and H streets. During the altercation the victim was stabbed once in the back. The victim described the suspect as a white male adult in his mid 20s, with long brown dreadlock hair. The suspect was wearing baggy and patchy earth tone-colored clothing. The suspect was last seen fleeing the area towards Samoa Boulevard and H Street. During the altercation an unidentified male resident came out of a nearby house and attempted to break-up the fight, but left prior to the officer’s arrival. Investigator would like to speak to the unidentified man to determine if he witnessed the stabbing or can aid in identification of the suspect. Anyone with information about the altercation is encouraged to contact the Arcata Police Department at (707) 822-2428. This entry was posted on Wednesday, April 20th, 2011 at 8:26 am	and is filed under News. You can follow any responses to this entry through the RSS 2.0 feed.